Due to the nature of our business (education) there are NO REFUNDS, ALL SALES ARE FINAL. In an effort to keep our system running smoothly with the volume of participants accessing our training courses, purchase of this course gives you 14 days access to the course. If you need additional time, call our office at 866-968-8724, we can give you additional time to complete the training. Initial/Out of state Transfer 4 hr HIV This course is approved only for students who are either transferring their license from another state, whose license is null & void or for new licensees. It is not for continuing education for CURRENT Florida Cosmetology Licensees. 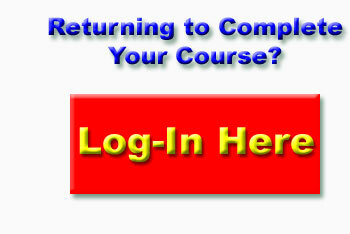 This on-line/on-demand course is designed to meet the training for OSHA requirements for business/industry. If you hold a professional license and your license board requires an HIV/AIDS course to renew, this course will meet that requirement. This course also meets Florida Board of Cosmetology for out of state license transfer. THIS IS A 4 HOUR COURSE. Upon completion of this course, you will be able to immediately print out a certificate from your computer or save a copy to your files for future reference. Subjects covered: Personal protection, Etiology of the disease, Modes of transmission, Treatment of those infected, Laws/rules, Cleanup of spilled pathogens, disposal of infected materials, Confidentially & much more!